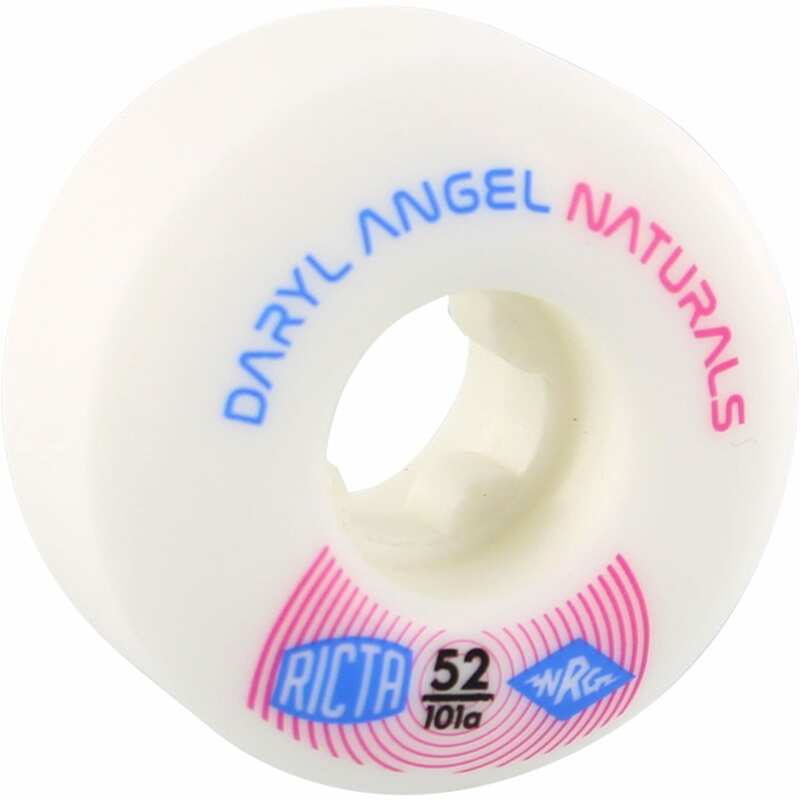 Daryl Angel's new signature Naturals skateboard wheel by Ricta. The 101a durometer Ricta Naturals feature a classic street style pill-shape for superior quality and control. Angel's 52mm pro wheel is engineered to perform equally well in the park or the streets. Rock the graphics on the outside or flip the wheel for a clean, non-graphic look. Made with Ricta Wheels' NRG Hi-Energy urethane formula, the Naturals are proven by top pros to be the fastest non-core skateboard wheel.